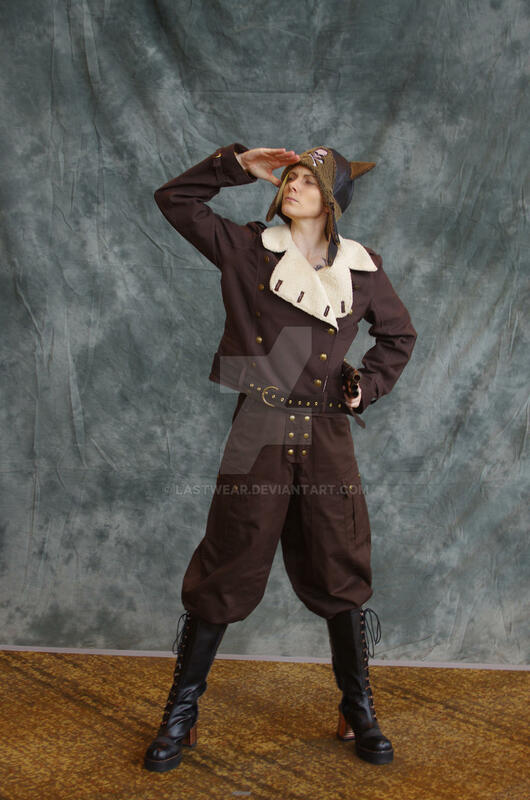 Brown canvas and faux shearling Pinkerton Bombardier Jacket made for Steamcon V's fashion show. Modeled by Shepard Gault. I love the hat! Well the whole outfit but that hat! We tried to sell them but there was issues with being able to get the lambskin on a regular basis. It's gone now, but we had that one rattling around the house for three years.